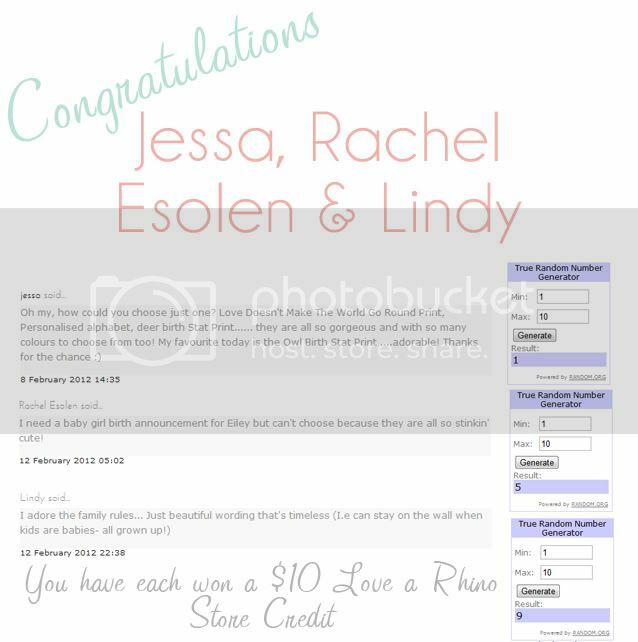 love a rhino: Winners Announced! Firstly, thank you to those of you that entered our 500 Likers giveaway. And now, what you all want to know! A big congratulations to the three of you! Please contact me at lovearhino@hotmail.com to discuss your prizes!